By our Chef Mikel. Dishes cooked just as they should be, tender & juicy barbecued meat and tasty fish are the key to Txinparta’s success. 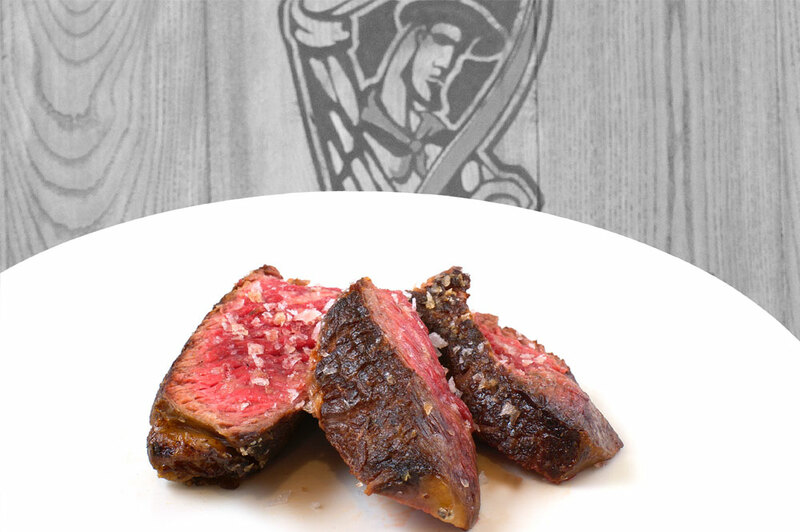 For our famous bone-in ribeye steak, we choose the finest red meat, matured in the very best of conditions. Beef with good marbling, a unique delicacy served crisp on the outside and medium rare on the inside. The best selection of traditional San Sebastián pintxos and assorted tortillas. A snack to enjoy while taking a break from your work and a place to meet before sitting down at the table. 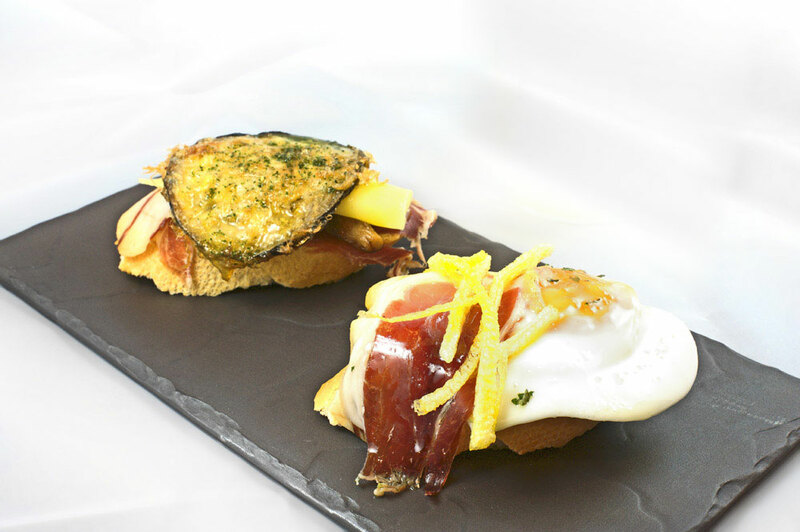 Typical San Sebastián pintxos, made lovingly every day with top quality locally-sourced produce. Good plates of Iberian ham, croquettes and calamari “made the traditional way”. THAT TXINPARTA MENU OF THE DAY! Coming up!! 10 starters and 10 mains, plus a decent selection of homemade desserts! 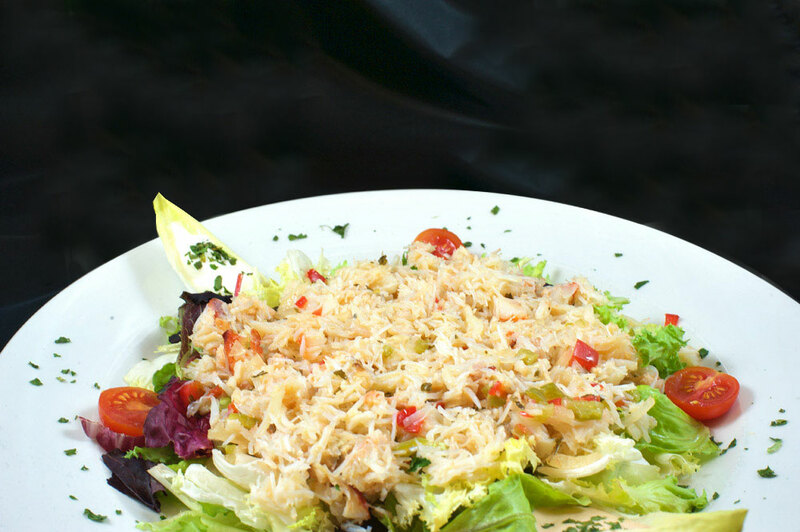 A varied menu with vegetables, meat and fish prepared by our Chef to suit all diets. If you liked our city cider house concept, soak yourself in tradition; discover a “premium” experience at Txinparta’s big sister, the SAIZAR cider house. At the SAIZAR cider house in Usurbil, only 15 minutes from San Sebastián, you can participate in the “txotx ritual” while taking a closer look at the cider house tradition and the true atmosphere of Basque cider houses.